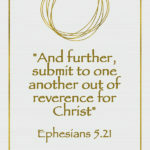 “And further, submit to one another out of reverence for Christ” (Ephesians 5.21 NLT). As Christians, men and women both have the Holy Spirit dwelling within us. Jesus died for each of us. We are all royal priests through Christ (1 Peter 2.9). Although men and women have equal value, we each have unique roles of submission within marriage. These roles have been established by God for the profit of the husband, wife, marriage and family. Both men and women are submitted to some sort of leadership in life according to their age, their careers and their family status. Submission is not an ugly, domineering thing. 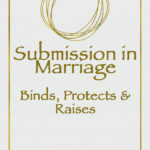 Submission is literally what binds, protects and raises a ministry, business, family and, yes, a marriage. In fact, Jesus submitted Himself unto death and now sits at the right hand of God (Hebrews 10.12). His submission is what binds, protects and raises us, the Church. “And being found in appearance as a man, he humbled himself by becoming obedient to death—even death on a cross!” (Philippians 2.8 NIV). Submission is like a glue that draws diverse people together, so that God can catapult them into higher levels without everything falling a part. Nothing great can happen without submission. Jesus’ life was a demonstration of that truth. A woman’s role as wife is different from her role as employee, boss, owner, prophet, teacher, leader, etc. In all other roles outside of marriage, she will have points of leadership and submission just like anyone else. Same is true for a man’s role as husband. His submission in marriage will look differently than the other roles he fulfills outside of the home. According to Ephesians 5.21, both wife and husband are submitted to each other. 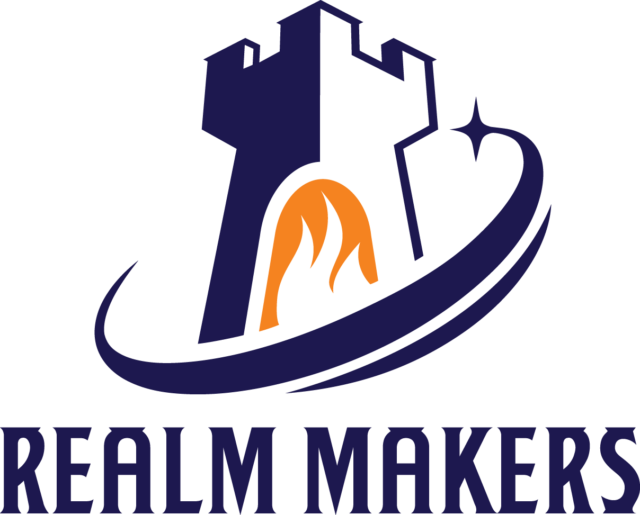 However, their submissions are not identical, they are complements. When the man and woman make their marriage vows, they commit to being united as one just as the Church is united with Christ. They are now husband and wife. 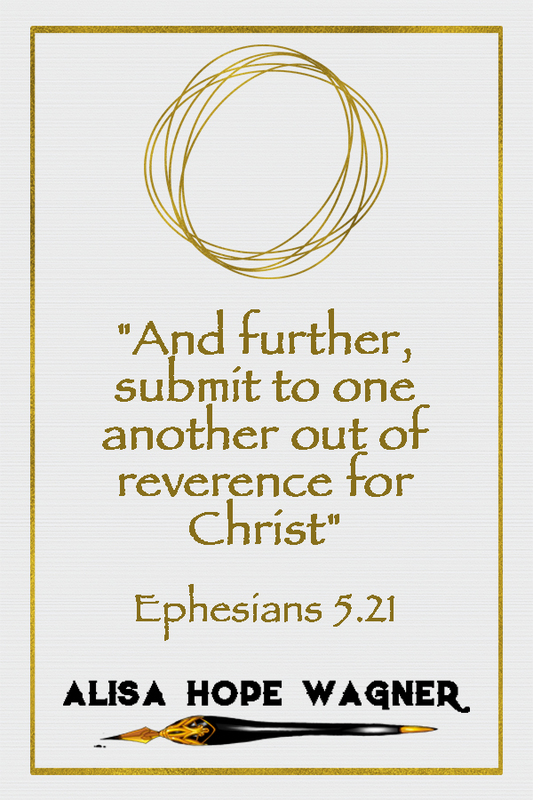 A mysterious and supernatural binding occurs that only submission in Christ can keep together. “As the Scriptures say, ‘A man leaves his father and mother and is joined to his wife, and the two are united into one.’ This is a great mystery, but it is an illustration of the way Christ and the church are one” (Ephesians 5.31-32 NLT). The wife is submitted to her husband as to the Lord. “Wives, be subject to your own husbands, as [a service] to the Lord. For the husband is head of the wife, as Christ is head of the church, Himself being the Savior of the body” (Ephesians 5.22-23 AMP). The wife trusts her husband because he is the authority God has placed in her life. This authority is for her protection and blessing. Yes, no one is perfect and her husband may make mistakes (as will she), but God is more than capable of turning all things for her good (Romans 8.28 NIV). The husband is submitted to his wife as to the Church. “Husbands, love your wives [seek the highest good for her and surround her with a caring, unselfish love], just as Christ also loved the church and gave Himself up for her” (Ephesians 5.25 AMP). The husband is head over the family, like Christ is head over the Church. And the husband should willing give his life for His wife, like Christ gave for the Church. 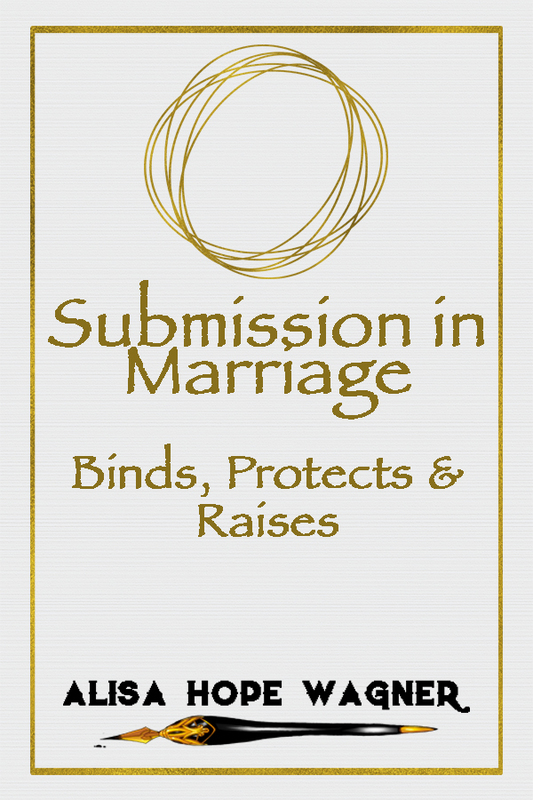 His submission is to the care, protection and love of his wife. And like Christ, this submission leads to the death of his own selfish desires (Galatians 5.24). The wife protects her marriage by submitting herself to her husband’s authority. For any institution to work, there must be a system of authority. God is the ultimate authority, and the husband responds to God’s directive. The husband then is expected to protect and provide for his wife and family with his everything. When a wife submits to her husband’s authority, she will be protected, blessed and cared for by God and her husband. 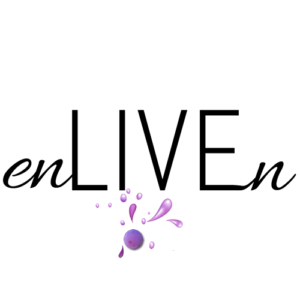 She submits herself as to the Lord, and her life will have a holy ease of being yoked to Jesus (Matthew 11.29-30 NLT). The husband protects his marriage by submitting his life to the care of his wife. The husband cherishes his wife–even if it means giving up his own life. This is the ultimate sign of responsibility–protection unto death. This death doesn’t always have to be literal. Metaphorically, the husband dies to his own needs in order to protect and care for his wife. When a husband loves his wife, he is actually loving himself and his marriage (Ephesians 5.28 NLT). 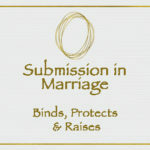 The submission of both husband and wife ensures the protection of the marriage as a whole. 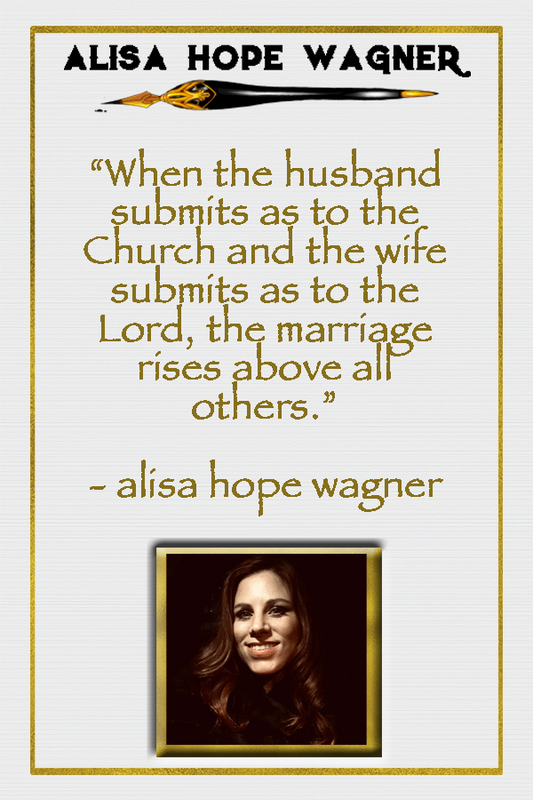 Healthy, God-ordained submission causes the husband and wife to cling together. When the husband and wife say the words, “I do,” they are declaring to themselves, to the world and to God that the needs of the marriage now usurp their individual needs. But as the wife serves her husband as unto the Lord and the husband serves his wife as unto the Church, they will find their own needs being met by God and each other. “And my God will meet all your needs according to the riches of his glory in Christ Jesus” (Philippians 4.19 NIV). 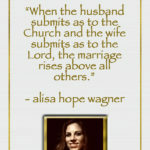 When the husband submits as to the Church and the wife submits as to the Lord, the marriage rises above all others. 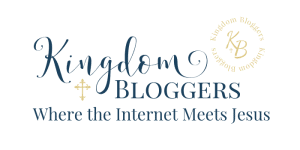 The glory of God can shine through a marriage submitted to God’s ordained authority. The marriage becomes a united front that cannot be divided. This is a unique submission of wife and husband, not seen anywhere else in all the world. Indeed, it is a mystery to people who don’t know or trust God and His ways. But God does things beyond our understanding, and His system is not our own (Isaiah 58.8-9 NIV). When a husband and wife are firmly glued together, God can catapult them into greatness that shines His glory to the world. “Rise up and shine, for your light has come. The shining-greatness of the Lord has risen upon you” (Isaiah 60.1 NLV). For more encouraging words from Alisa Hope Wagner, check out her one-year devotional, Slay the Day, and other books on Amazon.